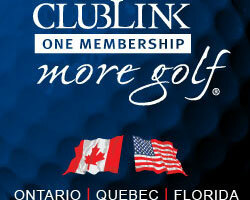 Canadians know of Ron Garl's work at Wooden Sticks and Taboo. Charleston also is proud to be home to another of his designs. 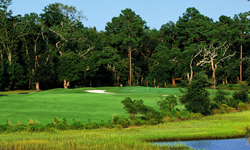 A short drive west from downtown just south of the Savannah Highway, is The Links at Stono Ferry. This local favorite, blessed with dense woodlands, beautiful views of the Stono River, Intracoastal Waterway and island green finish, is also home to the golf program of The College of Charleston. This upscale semi-private course is a must play when visiting the area. 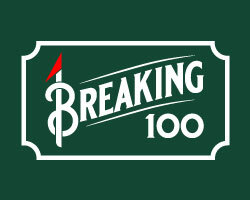 Description: The true character of the layout is found on the back nine. Ripe with history this hallowed ground has connections to early American settlement and is a site of a Revolutionary War battle. A commemorative marker and cannon on the twelfth hole, a downhill par 4 of 387 yards with a raised protected green, signifies where over 200 soldiers, both colonials and British lost their lives in battle. The Thirteenth tee is adjacent to the original Savannah - Charleston rail line serving as a crucial link for the economy of the region as the nation began to aspire. The tee shot presents trees left and a sloping fairway toward the vast expanse of the Stono River right. 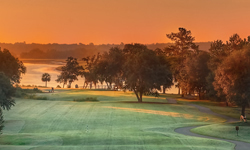 Hole 14 is a cute precise par 3 where Garl uses the historic buttress of the Stono Ferry landing as a tee perched out in the river with a large kidney shaped green site filled with slope as the target. Hitting to the wrong spot could result in a 4 putt or a chip if the pin is at the opposite side of the green.